Product prices and availability are accurate as of 2019-04-26 06:25:27 UTC and are subject to change. Any price and availability information displayed on http://www.amazon.co.uk/ at the time of purchase will apply to the purchase of this product. 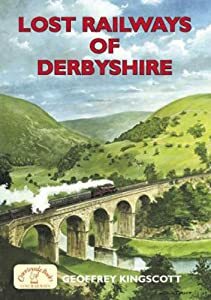 Geoffrey Kinsscott traces the history of the railway lines in the county including branches of the Great Central Railway and Ashover Light Railway, from their opening in the mid 19th century and, in many cases, their closure in the 20th century. This is illustrated with photoraphs and several specially drawn maps.